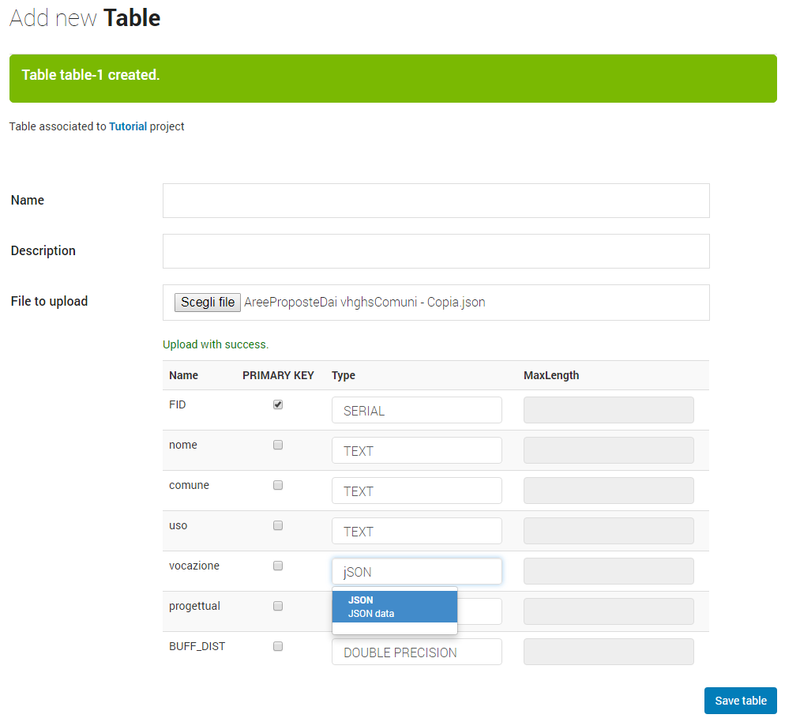 When you upload a table, you are required to check the type of data for each table’s field. Here the list of available data type in InViTo tables. This is a small subset of the available data in Postgresql.